The key highlights of this conference was live demonstrations of Face Recognition, virtual badge, virtual visiting card, Live Scribing. 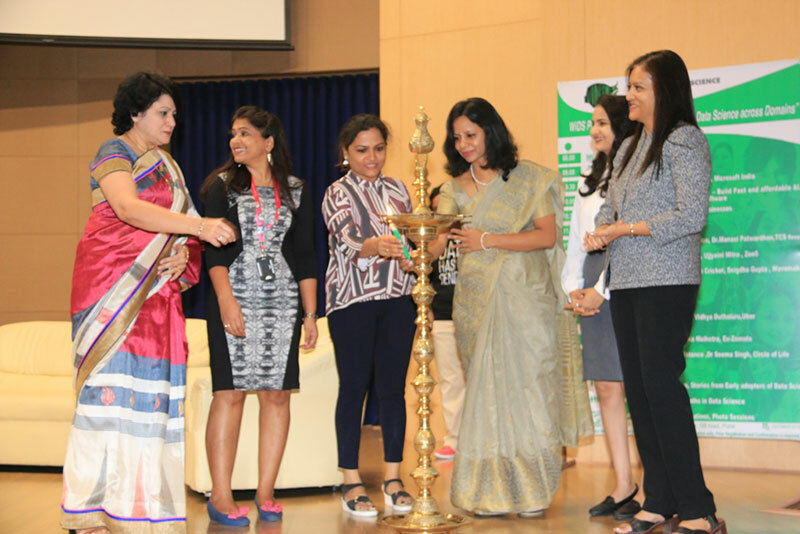 WiDS Pune is conceptualized and spearheaded by Ms. Sucheta Dhere, ex-AVP Vodafone, India, who is also the primary license holder from Stanford University. Dr Rohini Shrivastha, CTO of Microsoft, was the keynote speaker. She entered the field of Data Science pursuing her passion for Maths and understanding the immense impact Data Science can have to transform the world and reaching out to people in the world who have little or no communication access with the rest of the world. She said that Data Science has become a part of our lives although one may not be aware of it. Using Data Science and developing features that will be useful for everyday applications in various sectors is getting more and more acceptance all over the world. This is creating an interesting world with aspects of Data Science applicable in various companies, commercial platforms and many more applications. The key highlights of this conference was live demonstrations of Face Recognition, virtual badge, virtual visiting card, Live Scribing, real time feedback through mood barometer, real time sentiment analysis, lego games to explain statistical concepts. The whole day is designed in such a way that, at the end of the day, anyone who is a beginner will also get directions and some incentives to kick start their Data Science journey. The conference was well attended by software professionals, students, researchers, Data scientists, Data developers etc. Iconic Adhesive Brand Fevicol and Cancer Patients Aid Association presents 14th Edition of ‘Caring with Style’ – A Star Studded Fashion Extravaganza!